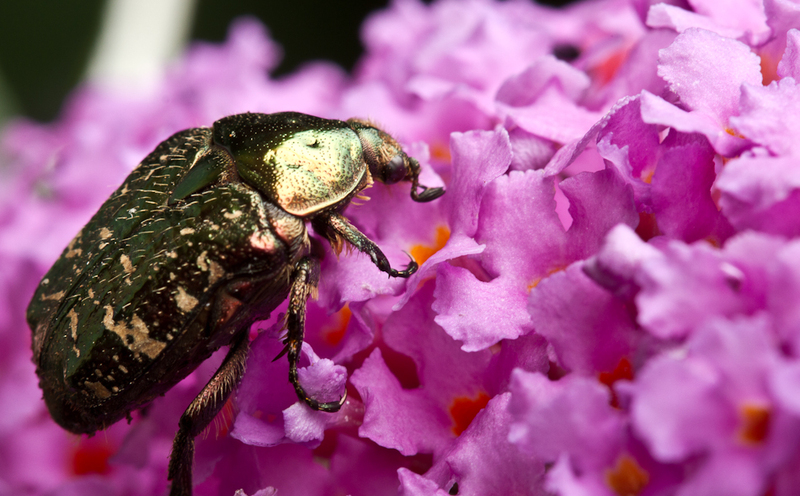 The rose chafer (Cetonia aurata) is similar in appearance to the much less common noble chafer. One of the primary differences between the two is the ‘V’ shaped area between the two wing-cases (scutellum). This area is far more elongated in the rose chafer than in the noble chafer.